Buy 12 or more for $20.89 each. 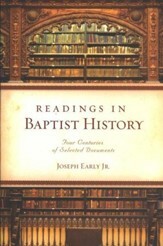 Because Henry C. Vedder's book has become a classic in the field of Baptist history up to 1900, the publishers have requested Dr. James D. Mosteller, Professor of Church History at the New Orleands Baptist Theological Seminary, to prepare a new Preface which sets forththe value of this book for more recent students. 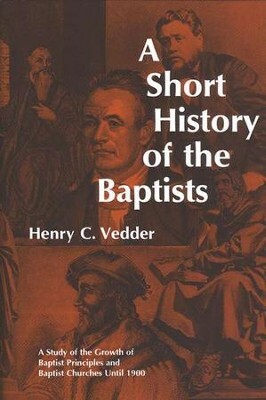 Dr. Mosteller holds that the presentation of the development of Baptist principles of Part I of the book is one of Vedder's important contributions to the study of Baptist history. In Part II of the book, Dr. Vedder has traced the history o the Baptist churches from their beginning through the period of their tremendous growth during the nineteenth century. The volume is enhanced by a careful selection of photographs and drawings of persons and places significant Baptist history. 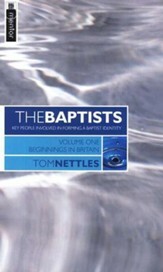 This classic in the field of Baptist history up to 1900 traces the development of Baptist principles and the history of the Baptist churches from their beginnings. I'm the author/artist and I want to review A Short History of the Baptists.